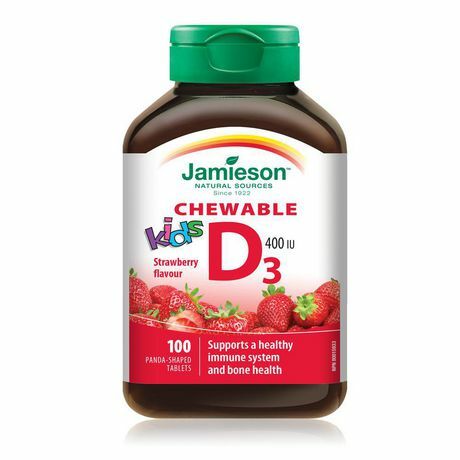 Jamieson Kids Chewable Vitamin D 400 IU is a delicious and easy to chew tablet, formulated for children. Taking 1 to 2 tablets daily will help promote the development of healthy bones and teeth in children. "Vitamin D3 (Cholecalciferol) 10 mcg/400 IU. 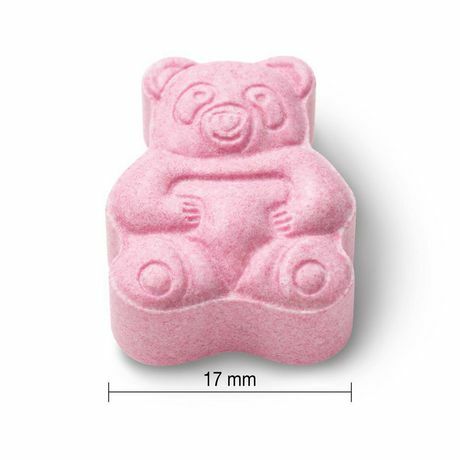 Also Contains:Natural flavours (strawberry, raspberry, orange, cranberry), natural colours (carmine, tomato powder, carrot root powder), citrus bioflavonoids, cellulose, vegetable stearic acid, citric acid, vegetable magnesium stearate, silica, dextrose, sucralose. NO salt (NaCl), gluten, lactose, artificial colours or flavours"